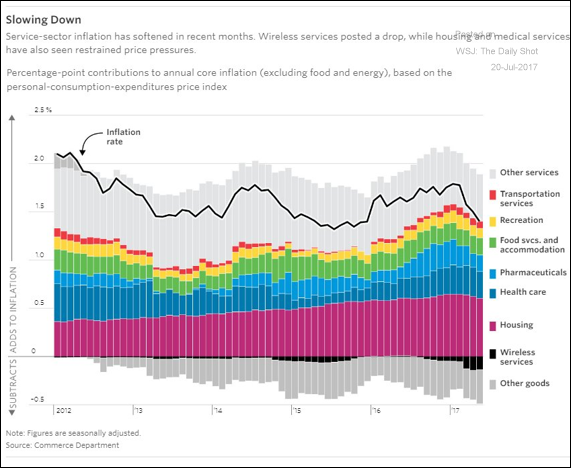 The United States: This chart shows the full breakdown of US core inflation. 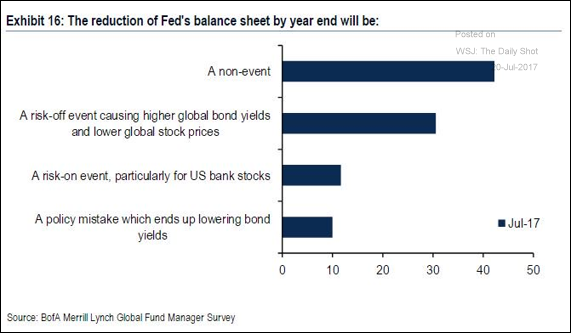 Rates: Many fund managers view the start of the Fed’s balance sheet unwind (quantitative tightening) as a non-event. 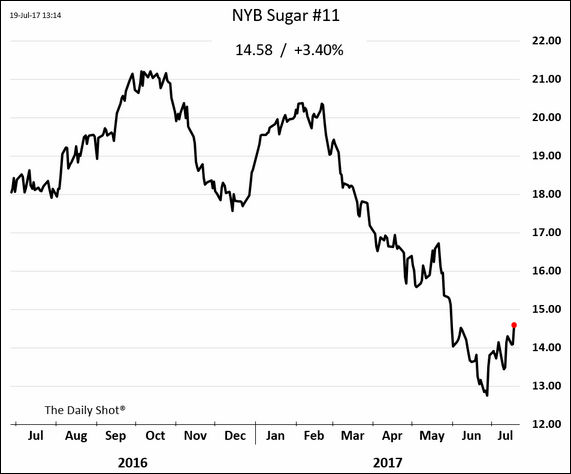 Commodities: Sugar futures have bounced off the lows. 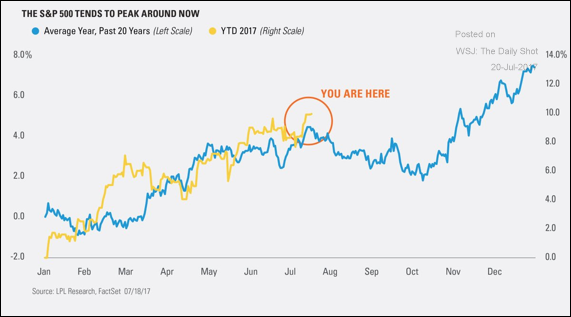 Equity Markets: Based on seasonal patterns, this is the time of the summer when the S&P 500 should peak. 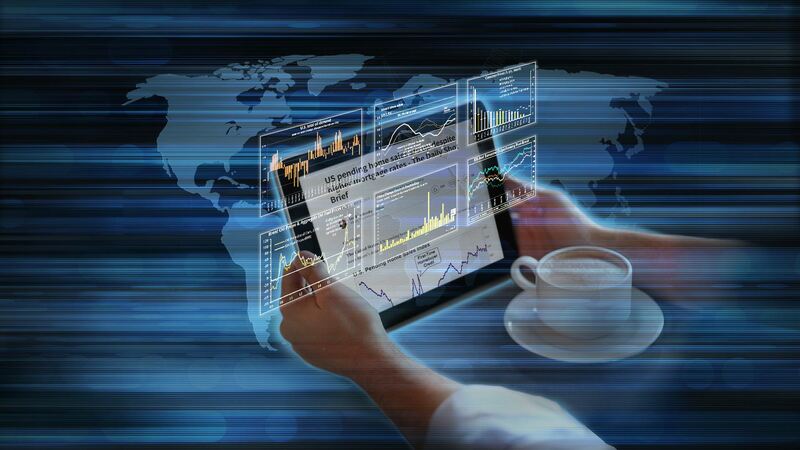 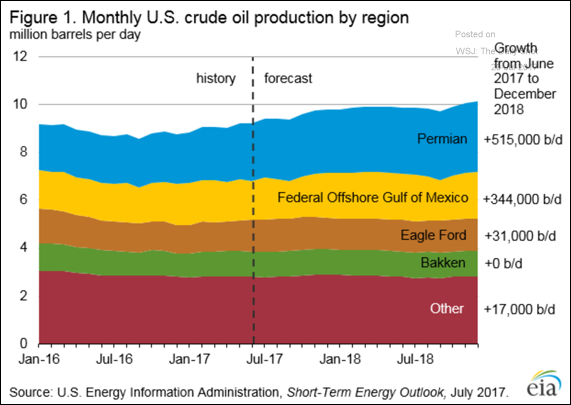 Energy Markets: Here is the Department of Energy production forecast. 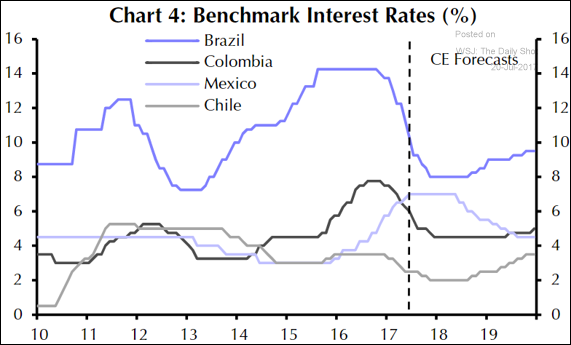 Emerging Markets: This summary chart shows the central bank policy rates and the forecasts for select Latin American economies. 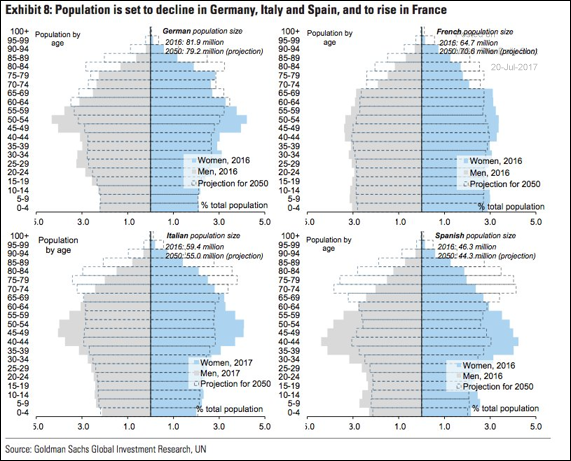 The Eurozone: The next chart shows the population pyramids for the largest Eurozone economies. 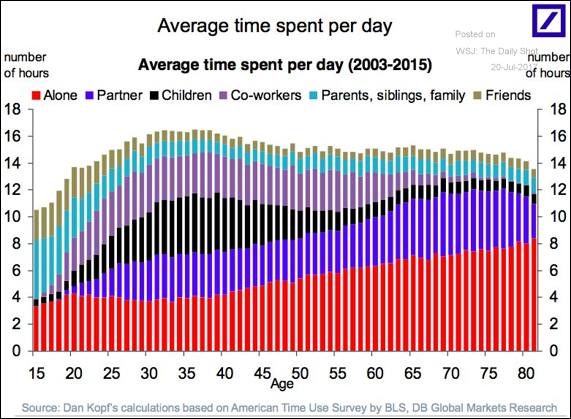 They will become highly inverted by 2050 (dashed lines) as the population ages.